3-storey with vaulted basement and attic, 13-bay (grouped 2-3-3-3-2), classical house, altered in 19th century, 1905-8 alterations and 1945 conversion to Eventide House by James Gillespie and Scott. Ashlar with base course, moulded string courses and cavetto eaves cornice, architraved windows, chamfered arrises and stone mullions, stone dormers. Coursed whinstone to S and partially to N and E with patches of heavy pointing, evidence of alterations. Sir Norman Leslie acquired Fythkil (original name of parish) circa 1282, renaming it after family lands in Aberdeenshire; the family becoming Earls of Rothes in 1457. 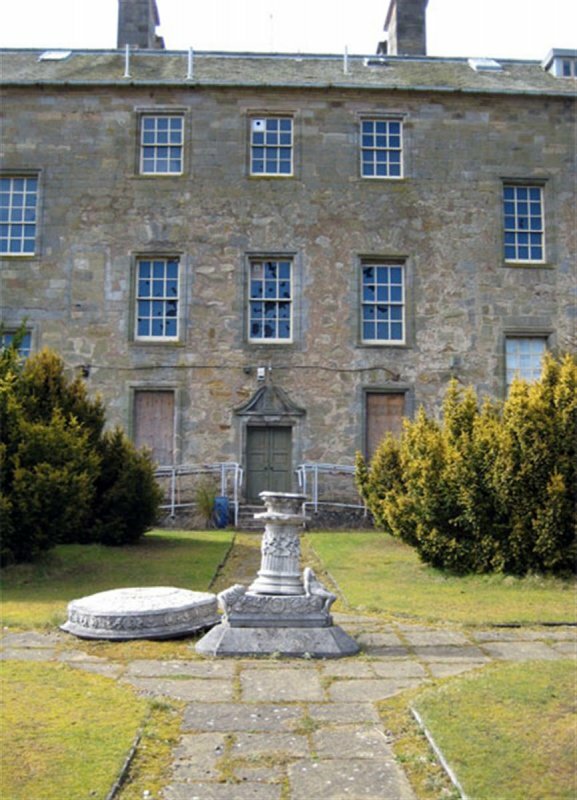 Earliest evidence of a house on this site is 1667-72 for John, 7th Earl and only Duke of Rothes, said to have been similar to Holyrood Palace, built around a court and with a gallery 3' longer, plans and drawings of the E and W fronts appear in VITRUVIUS SCOTICUS. Destroyed by fire on 28th December 1763, the present much smaller house was built, supposedly a restoration of the least damaged W side for John, 11th Earl. 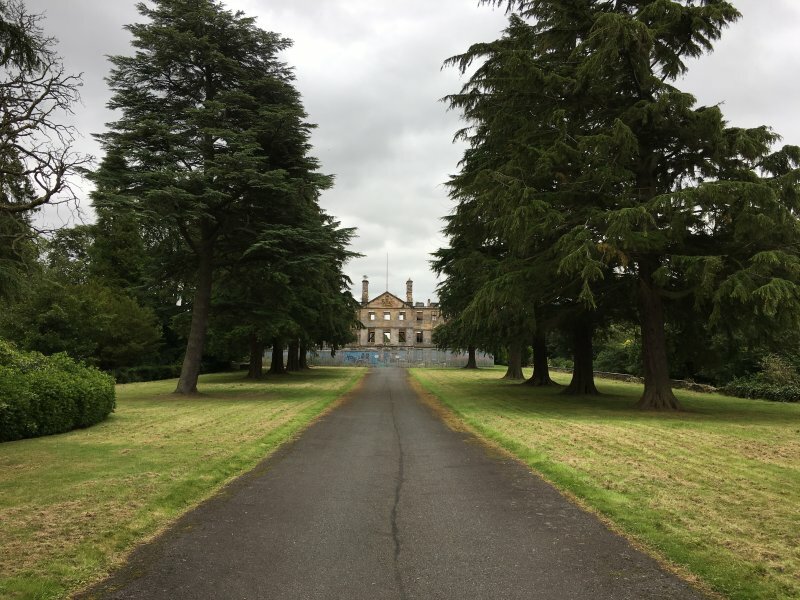 In 1919 the house was acquired by Sir Robert Spencer Nairn who, as he saw the advancing development of Glenrothes, gave it to the Church of Scotland in 1952 for use as an Eventide Home. 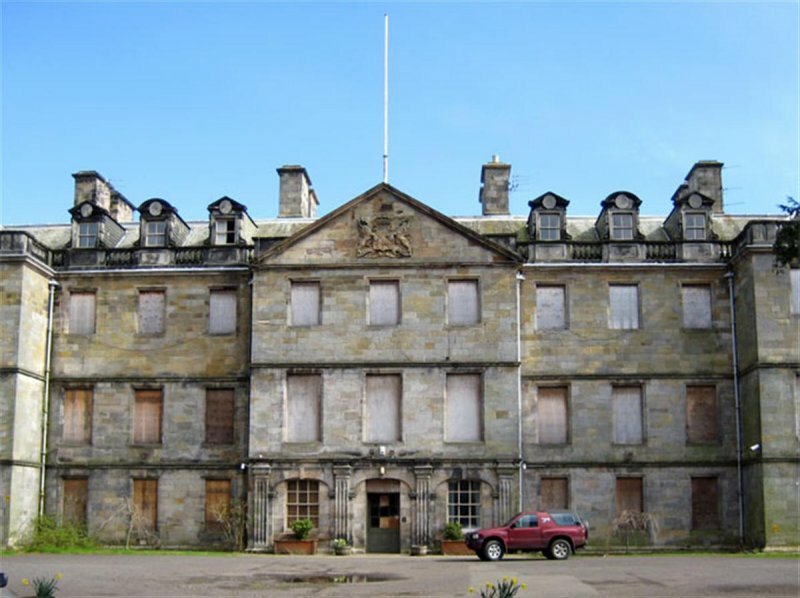 February 2006: Following purchase from the Church of Scotland in 2005, Sundial Properties plan to restore the building and convert it into 17 luxury flats, with 12 detatched homes within the grounds. April 2008: External inspection finds the property long term vacant and in very poor condition. The property is secured and a caretaker employed. 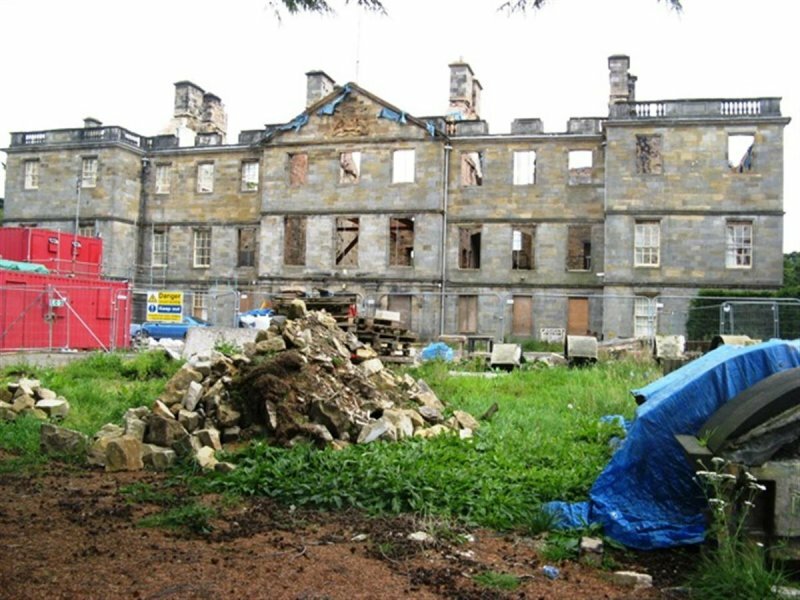 February 2009: A member of the public contacts SCT to advise Leslie House has been significantly fire damaged. 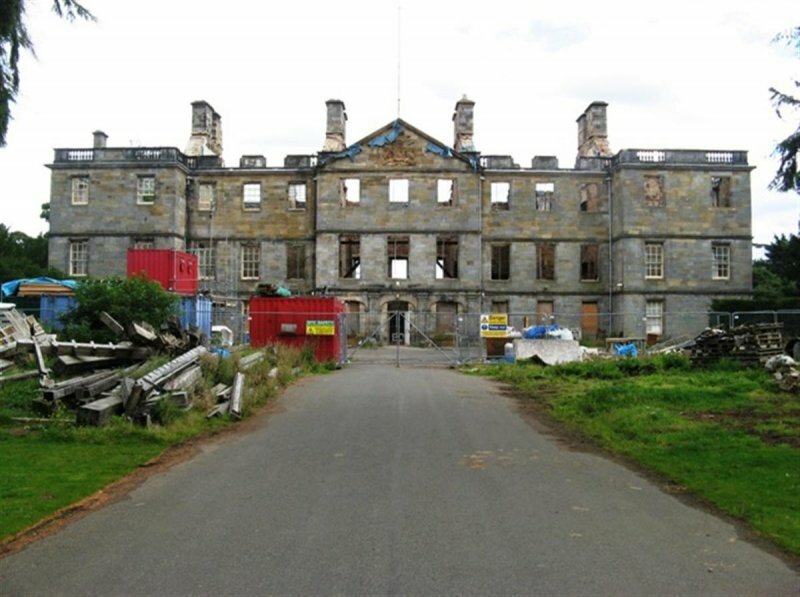 August 2009: The Courier & Advertiser reports that a new planning application has been submitted following the fire earlier in the year. July 2010: Courier and Advertiser reports developers Sundial Properties has submitted a request to renew listed building consent for revelopment of the house into flats. 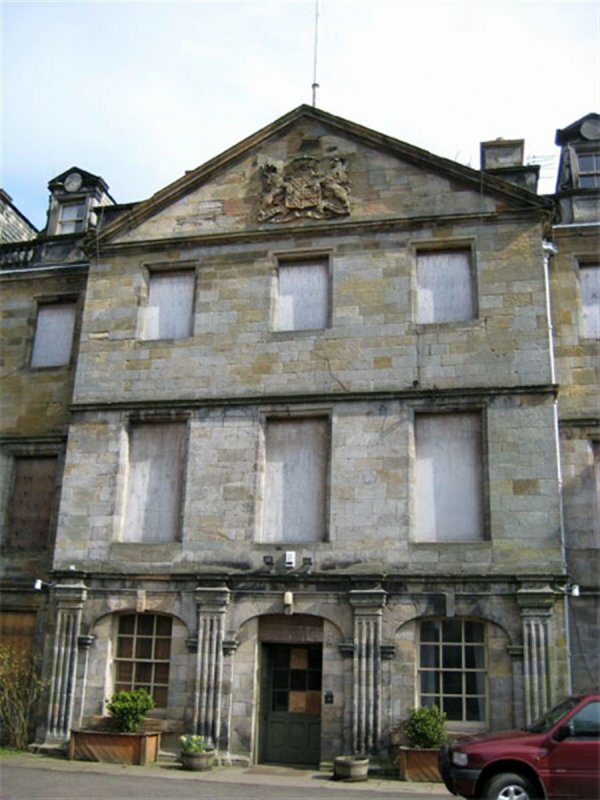 The article goes on to note the set back following a fire in the house in 2009, but developers advise the building remains in good condition. 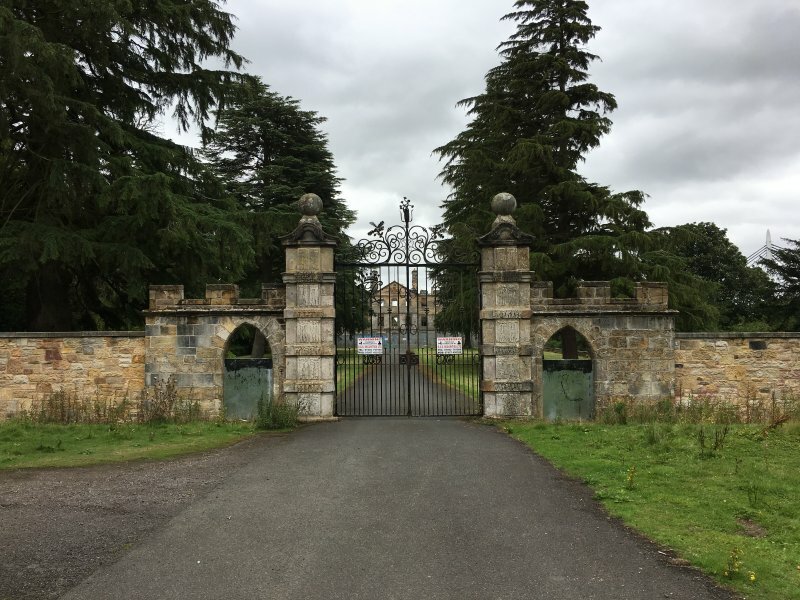 Works in the grounds, including renovation of the entrance gates, have been completed. August 2010: External inspection confirms the building was significantly damaged by fire. Restoration works have yet to re-start. Listed building consent for alterations to fire damaged structure to form 17 flatted dwellings (amendment to details approved under 06/00221CLBC)was approved subject to conditions, June 2010. 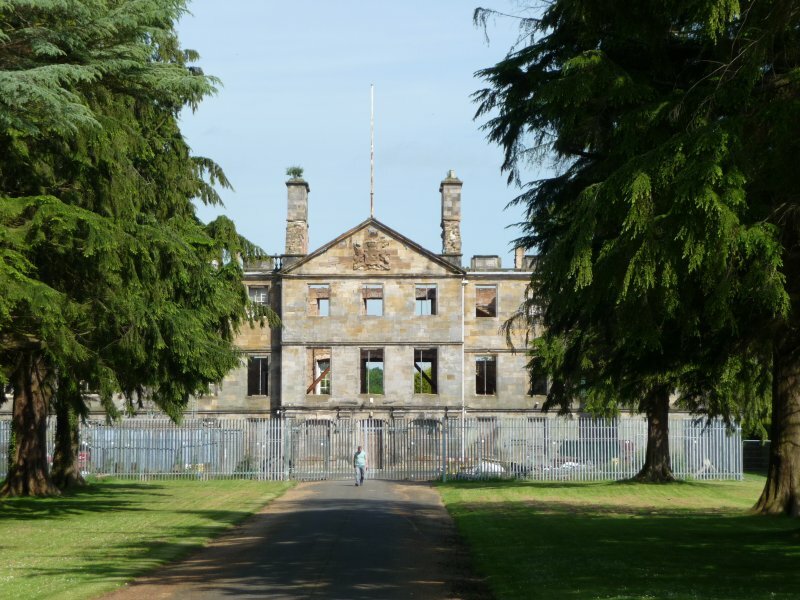 18 June 2014: External inspection finds the building remain in much the same condition as seen previously. Security fencing is erected around the site and some building works are underway. 21 September 2017: The Courier reports (20/09/2017) Byzantian Developments has reached an agreement with Sundial Properties, the current owners of Leslie House, to purchase the site. The article goes on to note Byzantian intend to submit a new planning proposal to Fife Council shortly. 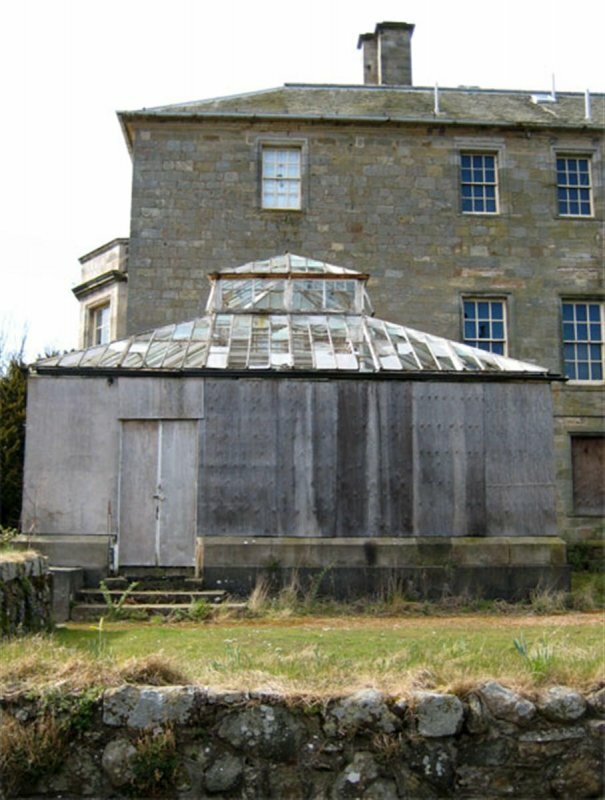 Leslie House remains a fire-damaged roofless ruin at this time - condition moved to Ruinous. 17 August 2018: External inspection finds the property in much the same condition as seen previously. Survey conducted from a distance - gates to the house are secured. Deterioration continues. 27 September 2018: Full Planning Permission and Listed Building Consent for restoration and conversion of the property into 28 flats, with an enabling development of 8 new build dwellings, are being sought ref: 18/02425/FULL & 18/02426/LBC.